Heritage Craft Alliance Ltd is pleased to celebrate the successful achievement of their Traditional Skills Apprenticeship with their first three apprentices this week. This in turn will mean that they can become CSCS Heritage Gold Card holders. The card is only available for NVQ Level 3 trained Heritage Crafts people who have proved they have the appropriate skills and ability in their craft area allowing them to apply for such a card, which in turn increasing their earning potential. The apprentices, each from very different backgrounds, have just found out that their studies have now paid off and that they are the first Apprentices in the UK to have achieved this unique acolade. HCA wrote this seventeen month programme resulting in a NOCN Level 3 Diploma in Underpinning Knowledge – Wood Occupations or Masonry, followed by a NOCN Level 3 NVQ Diploma in Heritage Skills. 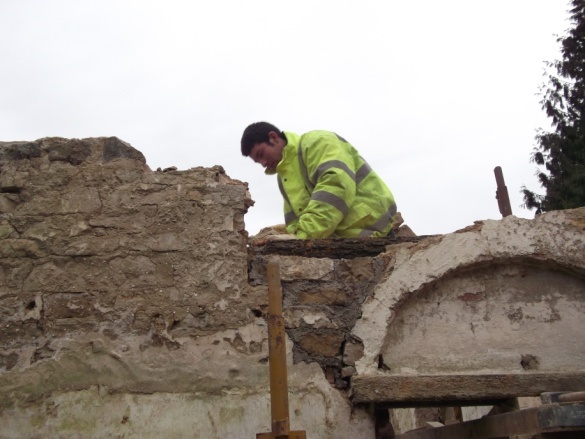 The purpose of the apprenticeship is to provide training in traditional craft skills with the focus on conservation and restoration of historic buildings with apprentices choosing if they wish to follow a Masonry or Carpentry and Joinery route. This framework has been developed by Heritage Craft Alliance Ltd (HCA) in conjunction with ONE Awards (formerly OCN). All three apprentices are all now successfully employed and using their chosen specialism to its full potential. 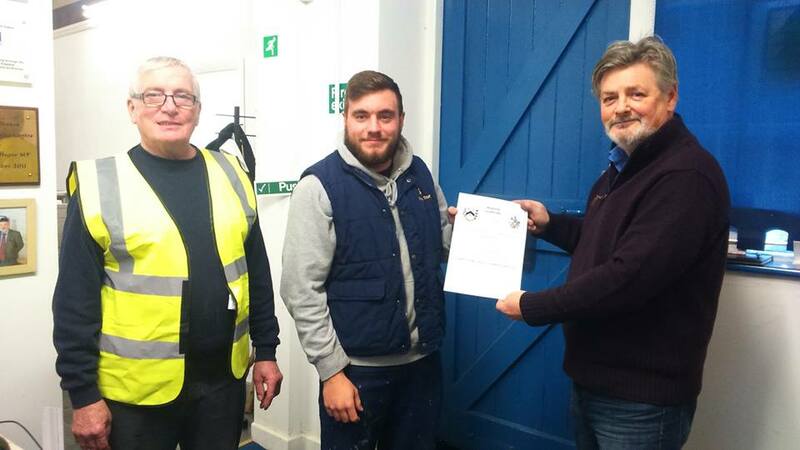 Richard Pollitt (pictured left) a carpenter from North Yorkshire is now self-employed and is able to utilise his skills on buildings in the North Yorkshire area. Luke McEnroe (pictured right) joined the course as a 21 year old apprentice joiner/carpenter working for The National Trust near Swindon. Luke excelled in his studies – whilst he was completing his course he also received a FIRST place as regional prize winner in the Carpenters' Craft Competition organised by The Worshipful Company of Carpenters & the Institute of Carpenters. Luke said, “The college course itself is so very varied and interesting. I feel lucky to have all of these opportunities and I urge anyone else who is on the apprenticeship scheme to take every opportunity that you get offered. 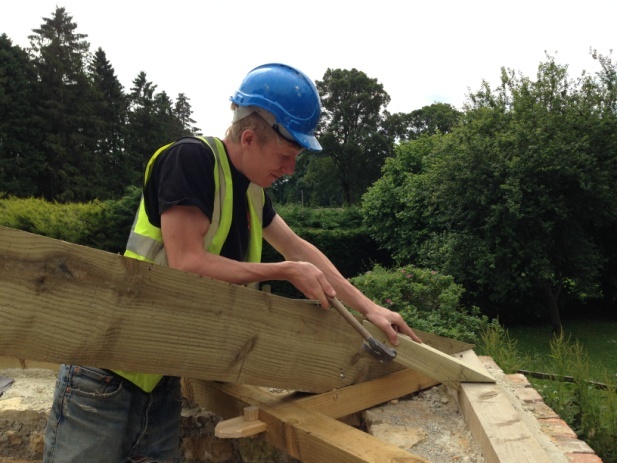 Since completing his course Luke is now working for Stonewood a traditional building company based in Wiltshire where he will be putting his skills to very good use. Daniel Inglis, (pictured right) Stonemason. Dan came to us with plenty of potential but no employer so we managed to match him up with an employer based in County Durham. Dan’s determination to succeed in this field shone through and despite his first and second work placements not being long term, he continued to study hard and kept gathering evidence for his portfolio. We were impressed by the fact that he always works hard and his tenacity bore him through the programme. He has recently secured a position with Historic Property Restoration Ltd (HPR) based in Tyne and Wear and he is currently working on a the refurbishment of an area of Durham Cathedral which includes full lime repointing, ashlar replacements, mitre coping replacement and banker work. Glenn Young is the Managing Director of Heritage Craft Alliance said “We desperately need to ensure that we educate and train young people to become skilled in traditional crafts, techniques, technology and materials. The need for conservation and restoration will always be there and with the average age of our present incumbents of traditional crafts being over 50 years, it’s not hard to see why we need to do this now. In ten years we will need to have replaced 40,000 skilled craftspeople to ensure the sector can survive and that our built heritage can be cared for properly. Not all bad news, as this means that there will be plenty of jobs for skilled young people entering the sector”. Glenn continued: “I am particularly pleased that some young people can see the benefits of undertaking this quite strenuous qualification and can say that all three apprentices, apart from being really super guys, are really dedicated to their craft and will thrive with these new skills and knowledge from now on”.